The Nintendo Switch is a fantastic hybrid game machine. It’s an amazing portable and a solid console. Unfortunately, one downside of its portability is its relatively weak battery life of 2.5 – 6 hours, and usually on the lower end of that scale. 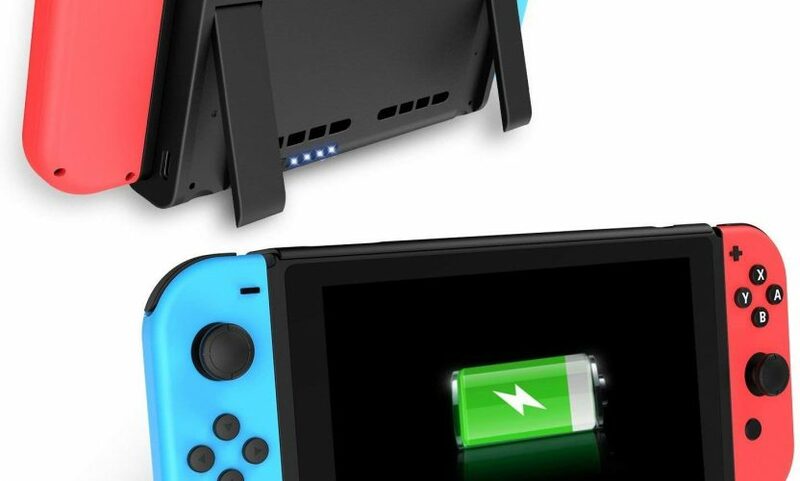 Fortunately, there’s a product like Antank’s Nintendo Switch Battery Case to help solve the problem of having enough power for extended game sessions away from a charger or dock. Weighing just 8 ounces, the Antank easily clips onto your Switch when your main battery runs low. The rear of the package. The drawstring case and instructions. The kickstand and open dual game card holder. You slide your Switch into place after you raise the top of the case. The rear of the battery case. Included in the package is the battery case itself, a dustproof drawstring bag, and instructions. While no charging cable is included, the Antank can use the Nintendo Switch’s AC adapter or any USB-C cable. It’s the latter that I’ve been using to charge the battery without issue. Aesthetically, the all-black, slightly rubbery battery case looks and feels nice enough, although a little bit of the finish on my particular unit did rub off on the rear two slot game card holder compartment. There’s a reasonable balance to the Antank when attached to the Switch, although you will feel the difference in the combined weight. 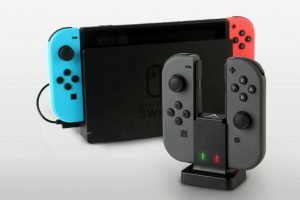 On the plus side, the combination of the two units does make the Switch feel more substantial, and there is a built-in stand, so it’s easy enough to place on a flat surface for additional support if needed. Although the 6500mAh (32.5Wh) battery is said to charge the Switch more than once, in my testing, with active play while running the battery, I was “only” able to add 100% more time to my play session for an effective 1x additional charge. That’s still double the normal battery life versus without use of the battery pack, and you can always charge the battery and use it at the same time should a USB-C cable and suitable power source be available. It’s far less picky than the Switch itself is with how it’s charged. Operation is simple. When your Switch battery is getting low, you snap the Antank in place and press its power button. It’s then like your Switch is being charged through its normal charger. While the Antank does get slightly warm when attached to the Switch, it’s well ventilated, so it’s a minor issue at best. Despite the noticeable weight, it’s still pretty well-balanced. It feels good too, with a nice texture. If you’re looking to extend the battery life of your Switch, then the Antank makes for a fine choice. 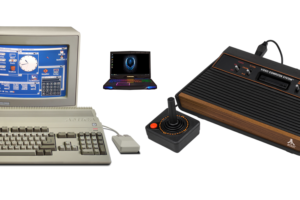 It looks and feels good, is easy to take on and off, and has nice design features like Switch function cut-outs and ventilation, as well as a built-in stand and game card holder. 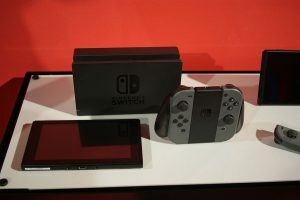 While it would be nice if you could extend the Switch’s battery life more than 100%, or one full charge, I think you, like me, will appreciate the savings in extra weight from not enhancing that particular feature brings. Thanks to Antank for the discounted review unit.